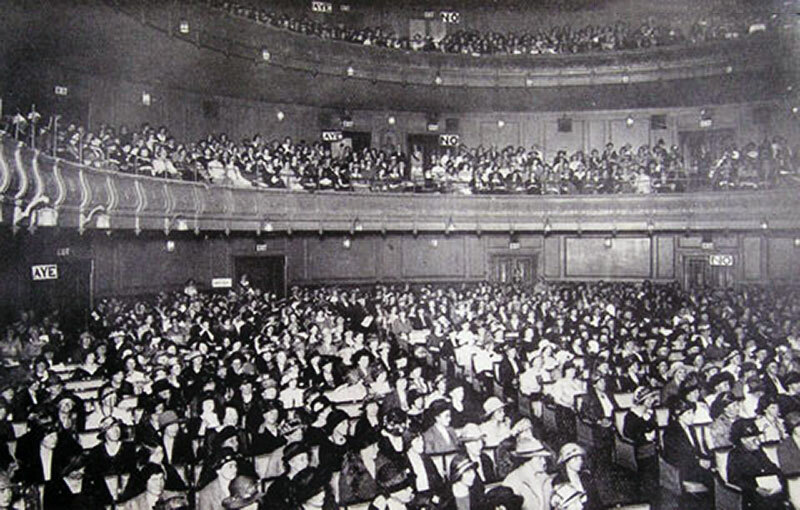 The very first WI resolution was passed in October 1918 at the NFWI’s second Annual Meeting at Cathedral Hall in Westminster and called for a ‘sufficient supply of convenient and sanitary houses, being of vital importance to women in the country’. WIs, federations and the NFWI were urged to put pressure upon their local councils and Government to ensure that full advantage was taken of the Government scheme for state-aided housing. This campaign was a direct response to the Prime Minister’s war-time promise to build ‘Homes Fit for Heroes.’ In passing the 1918 resolution, members also pledged to work with local authorities to bring piped water and electricity to all village homes. This resolution was proposed by Epping WI in WI Essex who still exist today having celebrated its 100th birthday in 2017.